Product updated on 2019-04-17, Air lift - AIR:57396, 2011-16 Superduty 4x4, also works on trucks with 5th wheel hitch AirLift Load Lifter 5000 Series, Fits single rear wheel (SRW) and dual rear wheel (DRW) models. Compatible with most side-mount fifth wheel hitch applications. Does not fit cab & chassis applications. 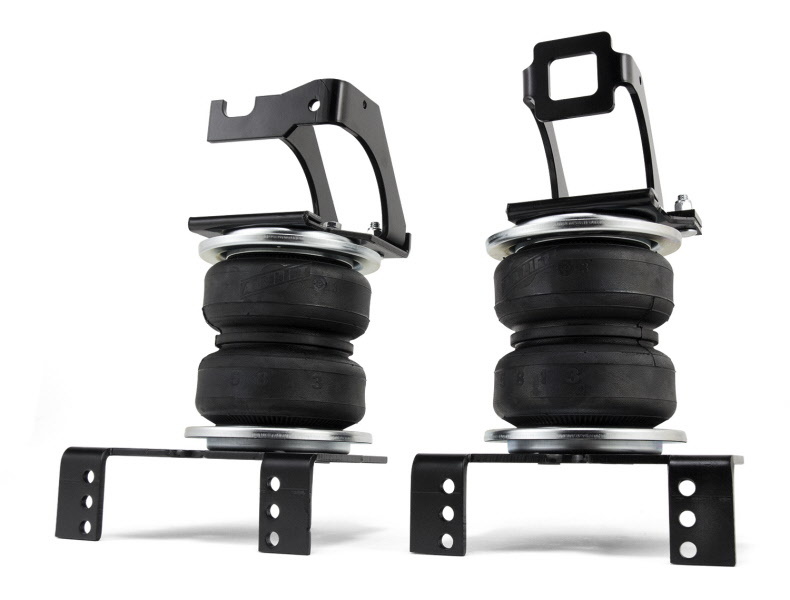 Will not fit 2015+ F450 , LoadLifter5000 Air Spring Kit by Air Lifts are specifically engineered for hauling or towing heavy loads. LoadLifter 5000 air springs are designed to fit popular vehicles and pickup trucks, motor homes, commercial trucks and other severe uses. LoadLifter 5000 air springs provide up to 5,000 pounds of leveling capacity for support of your heaviest loads. Fully adjustable air springs level your vehicle when towing or hauling a heavy load for a safe comfortable ride Eliminate sag and bottoming out Rugged durable components including air springs and all hardware Easy to install with included instructions Fits many 1/2, 3/4 ton and 1 ton pickups and vans Today, Air Lift is ISO 9001:2008 certified for best business practices, manufacturing, and customer satisfaction and their range of high-quality products is widely respected throughout the industry. Standard limited lifetime air spring warranty— no mileage restriction! Air Lift Company warrants that Air Lift 1000, RideControl, LoadLifter 5000, LoadLifter 5000 ULTIMATE and AirCell air springs systems will be free from defects in workmanship or materials for the lifetime of the vehicle of original installation.